Recently, the ballet world seems to be owning up to the fact that it's got a female choreographer problem. Some companies have started devoting entire evenings to works by women, while others are incorporating female choreography into their regular seasons more slowly but steadily. For example, next year, Crystal Pite will be the first woman to create for The Royal Ballet since 1999. And premiere-factory New York City Ballet is breaking its five-year dry spell for females by commissioning Annabelle Lopez Ochoa and principal Lauren Lovette to make new works for next season. These may be small steps, but we like where they're heading. The trick now—after years of not particularly encouraging female talent—is finding women choreographers who have the chops to truly intrigue and delight ballet audiences. Two young names have popped out of the crowd. Over in London, 19-year-old Charlotte Edmonds is living out a choreographer's fantasy of a dream career. Although she was "assessed out" of The Royal Ballet School at age 16 due to her body type, during her time there she won the Kenneth MacMillan Senior Choreographic Competition twice in a row, catching the eye of Royal artistic director Kevin O'Hare. 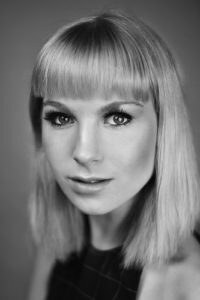 While studying composition at the Rambert School of Ballet and Contemporary Dance, she received her first professional commission when she was still only 16. And as soon as she graduated, O'Hare offered her a year-long apprenticeship under resident choreographer Wayne McGregor. It must have been successful, because it's just been extended another 12 months. The styles in her work vary pretty widely, from classical to street. Out of the clips we've seen, we're most intrigued by her contemporary vocabulary in this work for the Dutch National Ballet junior company. She uses groupings of bodies to paint elegant images on the stage, with swift shifts of momentum that grab your attention. In a recent profile in the London Evening Standard, Edmonds says, "I like those still, static moments where there’s structured architecture that just disintegrates into fluid movement." This November, she'll be sharing a Royal Ballet program with rising choreographer Robert Binet, who's also been mentored by McGregor. A huge feat not only for a woman, but for one so young! It's obvious that, although the school kicked her out, the company is placing its bets on her talent, grooming her for bigger things to come. Although she doesn't have one major institution backing her like Edmonds does, Claudia Schreier is slowly building up a network of major supporters. In 2015, she won the Breaking Glass Project's competition for female choreographers, then put together a full-evening program of her work performed by dancers from NYCB, American Ballet Theatre, Dance Theatre of Harlem and the Suzanne Farrell Ballet. Last month, she won the Virginia B. Toulmin Fellowship at New York University's Center for Ballet and Arts. And this summer, she'll be featured in the NOW: Premieres program at Vail, sharing the stage with the likes of Lil Buck, Jodi Melnick, Matthew Neenan and Rashaun Mitchell + Silas Reiner. It may seem like a swift rise out of nowhere for a 20-something who's been doing the freelance hustle since graduating from Harvard in 2008. But it's unsurprising: Audiences are drawn to the way she infuses a neoclassical base with gooey contemporary vocabulary and a driving musicality. We will be keeping an eye on these ladies, and wish them both the best of luck—the ballet world needs more bright young talents like them.